Chilli rating - 2. Put some music in your food. My story started from humble beginnings in a tiny village in Jamaica called Content, where my Grandmother taught me the art of mixing Caribbean flavours and where I first discovered my love of Reggae Music. 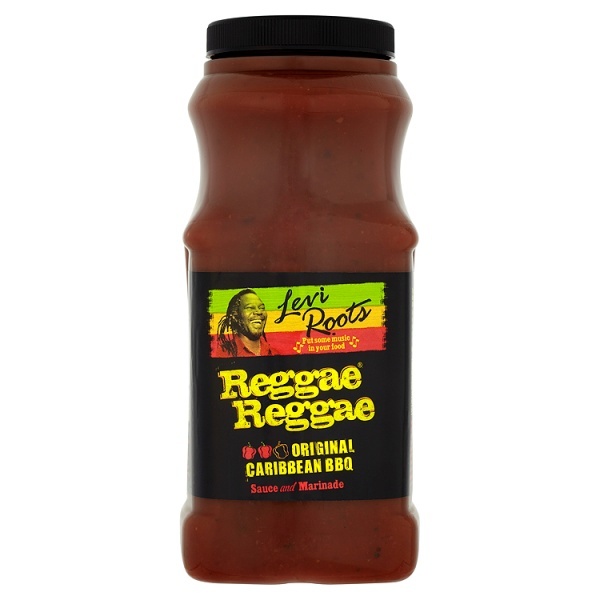 Reggae Reggae Sauce fuses my biggest passions in life ... music and food... and is the result of a lifetime's journey from these humble beginnings. Go on ... join me on the journey and put some music in your food! More Love Levi Roots Join us on Facebook: www.facebook.com/OfficialLeviRoots Visit: www.leviroots.com For recipe ideas and cooking inspiration. Use it as a marinade for meat or try a generous splash on the side of almost anything. It's great mixed into pasta sauces, chilli con carne, soups and stews. It's so easy going it gets on with everything! "Put Some Music In Your Food"
Not sure whether to buy from us ? Go and read our "testimonials"
We probably give the best customer service on INTERNET; purchase now and discover why we have so many repeat customers from around the world !